Sociological studies have found that middle managers tend to be more stressed than either their bosses or their underlings. 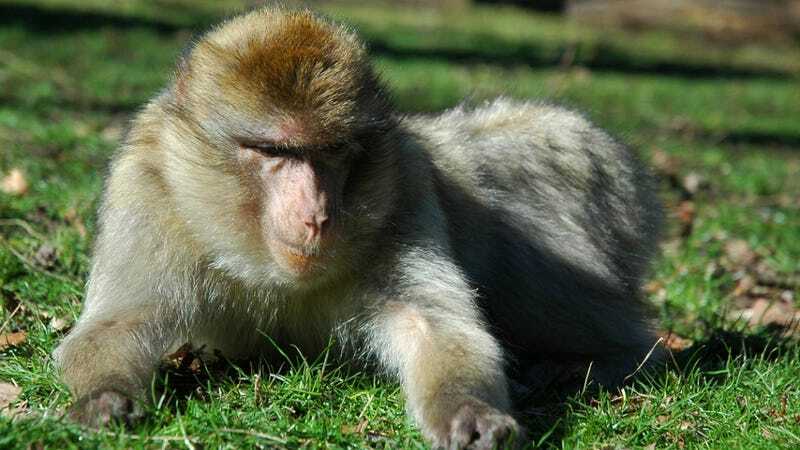 That phenomenon might well be true of all primates, as macaques display heightened stress levels when they are in the middle of their social hierarchy. "What we found was that monkeys in the middle of the hierarchy are involved with conflict from those below them as well as from above, whereas those in the bottom of the hierarchy distance themselves from conflict. The middle ranking macaques are more likely to challenge, and be challenged by, those higher on the social ladder." "People working in middle management might have higher levels of stress hormones compared to their boss at the top or the workers they manage. They may want to access the higher-ranking lifestyle which could mean facing more challenges, whilst also having to maintain their authority over lower-ranking workers." The original paper has been published in General and Comparative Endocrinology. Image by suetupling on Flickr.